Give yourself a break — you’re made for success! 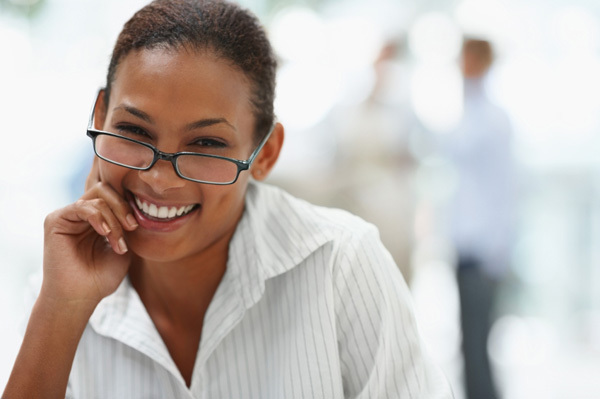 Here are 15 reasons why women are built for achievement in the workplace. Yes, certainly these are signs there’s been a dramatic shift in the workplace and in corporate attitude overall toward females and success. Best-selling author Vickie Milazzo of Wicked Success is Inside Every Woman and owner of the Vickie Milazzo Institute, an education company she founded in 1982, states, “There’s never been a better time to be a woman in business… it’s undeniable that the more masculine command-and-control way of doing business is on its way out.” Milazzo believes more women are creating — and receiving — great opportunities due to many natural characteristics, many of which may have historically been thought of as “too feminine” for business. Women are the ultimate doers — and they are known to tackle any project, from dealing with a kid’s emergency to modifying a sales strategy. Women are great at naturally reaching out to friends or family for help or advice, and this tendency is working for them in the corporate world. Helping each other has become a common practice. Women are committed to doing it all and not dropping any balls along the way; there are pros and cons to this. As Milazzo states in her book, “Women can handle a lot, and if we’re not careful, we find ourselves doggedly committing our energy to every person or situation that demands our time. Everything becomes a priority.” Women should evaluate which goals to — and not to — engage. “In five years, I predict there will be more equality,” says Milazzo. “Women will be supported by the men in their lives.” And this support will stem from men, and really any and all significant relationships — helping to further pave the path for women to take action and succeed. It’s important to continuously network at work and surround yourself with the right people. Even when it comes down to your personal success, “it’s all about marketing,” Milazzo states. Women’s natural drive to build great relationships comes into play to set women up for success today, as long as women can learn to focus on positive relationships. “There’s a reason why men don’t volunteer to plan the office parties,” Milazzo counsels. “Guys don’t usually step in for those things; they are instead focusing on the big projects that are getting them noticed.” Women should be doing the same. “Playing nice is a sign of strength,” Milazzo says. The workplace now allows everyone access to tools and technology to better share ideas, knowledge and energy. Milazzo says mentoring can take many forms, and it’s all about aligning yourself with women who can help you. “It’s not just what you know, it’s also who you know,” she says. “Smart corporations know that you need both genders to succeed,” says Milazzo. She points out a 2011 Harvard Business Review article stating that if a group includes women, collective intelligence rises overall. Women have the ability to form strong emotional connections with one another — fueling not only passion and ideas, but a decrease in stress levels. Women know how to give everyone a piece of the pie — building each other up means everyone wins. “Give today and you’ll receive tomorrow,” says Milazzo. In her book, Milazzo pushes women to further tap into their intuitive intelligence to take action now. You don’t always need to wait for all of the facts to roll in to act. Don’t be afraid to act now, or at least throw out the idea before someone else runs with it instead.